Last Days of Logo Contest! We know that there are some talented folks on our subscription list. Drinkers with Writing Problems is excited to see any ideas for logos that we can use on our site, zines, and other things! We know you have it in you and are asking you to submit a logo for us by the end of the week. We have prizes for the readers favorite and the final selection by DWWP. It involves beer! You like beer, don’t you? Yeah, you do! So submit! Also – keep up with us on Twitter @dwwpchicago or Facebook. There are some exciting projects coming up for our writers individually that we’ll be talking about soon! SUBMIT! 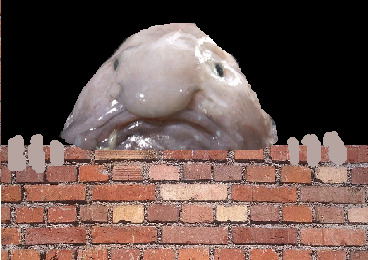 And here’s a picture of a blobfish that has been photoshopped because we are missing a logo to attach to our posts (sad trombone).